Situated 1000 km from Lisbon, Madeira Islands are linked to the world by several international airlines that offer services at Madeira International Airport and Porto Santo Airport. With connections to over 48 airports and capacity for 3,500,000 passengers, Madeira Airport is a safe and modern infrastructure where the quality of service guarantees its passengers an excellent gateway to the islands. 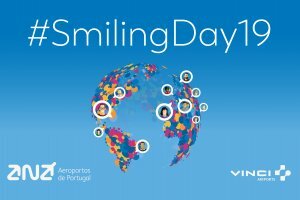 The Smiling Day, a key event in VINCI Airports' service policy, took place this year on 5 April .